The word “silo” is one that when used in the context of business operations makes people cringe. It represents disconnects, barriers, and chaos. As we all move to a more digital supply chain, how do we handle this convergence? 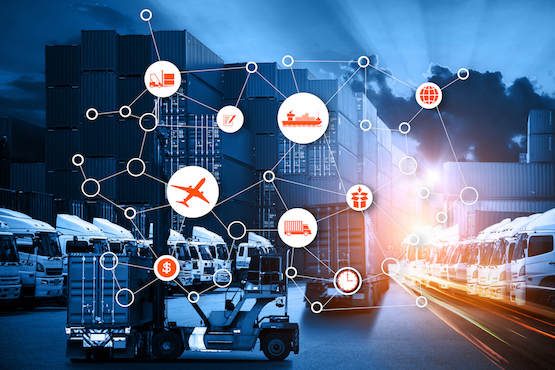 This summer, Gartner published a Supply Chain report that dives deep into various silos, complete with obstacles and recommendations. We took a look at this from the perspective of supply chain mobility. From what we uncovered, this convergence warrants time and a pragmatic approach. Sometimes the reason is more than philosophical. Mobile Device Management (MDM) is an example. We often hear from customers (the warehouse operations silo, if you will), that they get pressure from their corporate IT teams. Corporate wants them to use the “corporate” MDM to manage the rugged devices used in warehouse operations. It sounds good to have a common platform and gain further economies of scale on MDM license pricing. However, this rationale doesn’t account for the specialized capabilities of MDM solutions designed for rugged mobility, such as Avalanche. IT resource availability becomes a challenge, also. Beware scenarios where corporate wants operations to change MDM solutions, but doesn’t want to dedicate resources to support it. It’s not surprising that warehouse operations technology implementations are heavily siloed. We hear customers talk about the ability to implement our products with little-to-no IT support as a reason they buy. Toshiba Americas Business Solutions specifically referenced this as among their reasons for choosing us to voice-enable their warehouse operations. For many retail and distribution operations, their corporate IT doesn’t have any bandwidth to support these kinds of implementations. Whether or not corporate IT would want the responsibility for these installations is a completely separate conversation. Enterprise systems throughout the supply chain (WMS, ERP, CRM, etc.) are heavily customized for the specific needs of an organization. In their report, Gartner hits the proverbial nail on the head, naming customization as one of the major barriers to convergence. Moving from these perfectly tailored systems is expensive and risky. Reluctance to move off these systems seems likely to make the maturity model a long process. The stop-gap may be solutions that make connectors among the existing systems, rather than businesses ripping and replacing multiple systems to move up the maturity curve. Being honest with themselves, most supply chain operations teams find themselves most identified in the Analytical or Transactional stages of the Supply Chain Convergence Maturity model Gartner shows. Making raw data from siloed systems into actionable insights is a market with no shortage of solutions. Our own powerful dashboard and reporting tool, Xtraction, connects data from a variety of business systems, assembling info into actionable insights. However, there are certainly examples of Convergence moving further up the chain: Amazon’s relationship with the United States Postal Service exemplifies multi-enterprise coordination. Though there is much hype about it right now, blockchain is rooted in this whole convergence. As Supply Chain Convergence evolves, so will blockchain morph from hype to mainstream reality. Internal convergence discussions can’t be an “us-versus-them” conversation. That’s how many silos were built in the first place. Carry a measure of patience, and convergence opportunities will become clear.